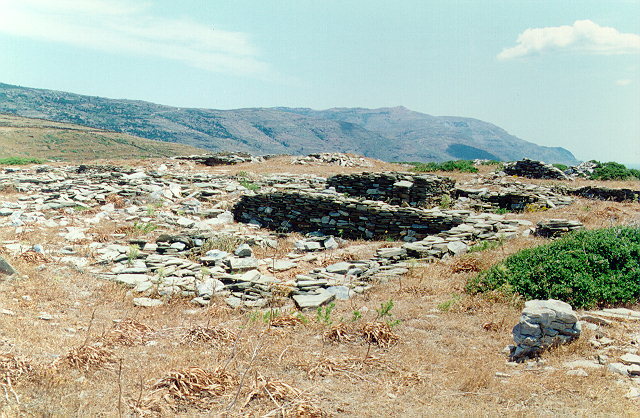 The Geometric settlement of Zagora lies on a plateau of a steep headland, 160 m. a.s.l. At the end of the 19th century, the then Ephor of Antiquities, Ant. 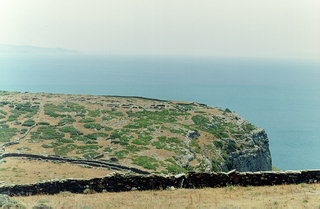 Meliarakis located the site but excavations were carried out much later, in 1960 by the Ephor of Antiquities Nicholas Zapheiropoulos. A more extensive campaign was undertaken by Prof. Alexander Kambitoglou from 1965 until 1972 and revealed a large part of the settlement. Restricted restoration work has been carried out at the site, mainly at the house walls.